Oh, the joys of working from home as a Virtual Assistant. You can work when you want, tend to your family as needed and take advantage of your most productive time of the day to focus on your top priorities. Yet with all that freedom, it’s amazing how difficult it is to fit exercise into your day. 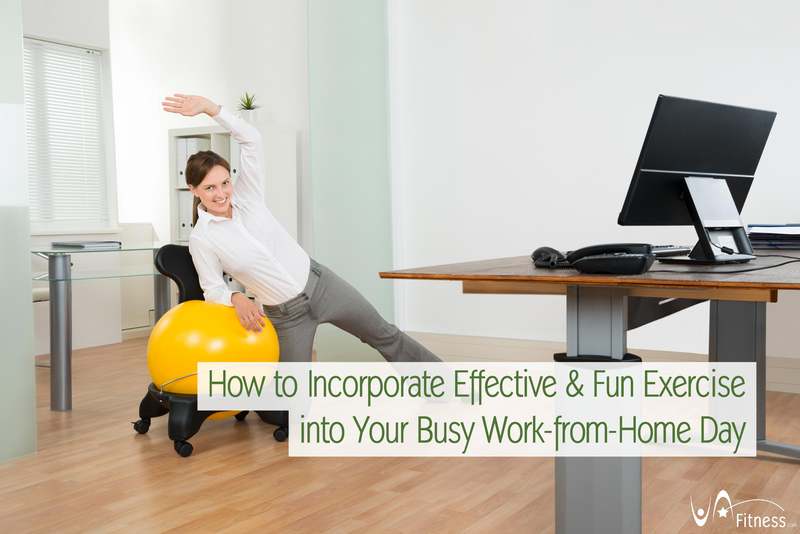 Here are a few steps to take to incorporate effective and fun exercise into your busy work from home day. It sounds a bit over the top but one of the best ways to make sure you do get the exercise your body needs to stay healthy and energetic is to schedule it into your day. This step alone often does the trick for motivated individuals. TIP: I use my Google Calendar to make up time blocks to walk, ride my bike, go hiking, hit the gym, etc. It’s easy to block the time in and move it around my work commitments. The only person who knows what you need to accomplish during your day is you. That being said, if you place exercise at the bottom of your priority list, you’re not going to get it done. Make it a priority during your day. It’s a lot easier to schedule something and make it a priority if it’s fun, right? So find an exercise you enjoy. It could be something as simple as walking your dog – all that fresh air and sunshine is good for the both of you. It could also be something adventurous like rock climbing or snowboarding. Pay attention to your personality and your desires. 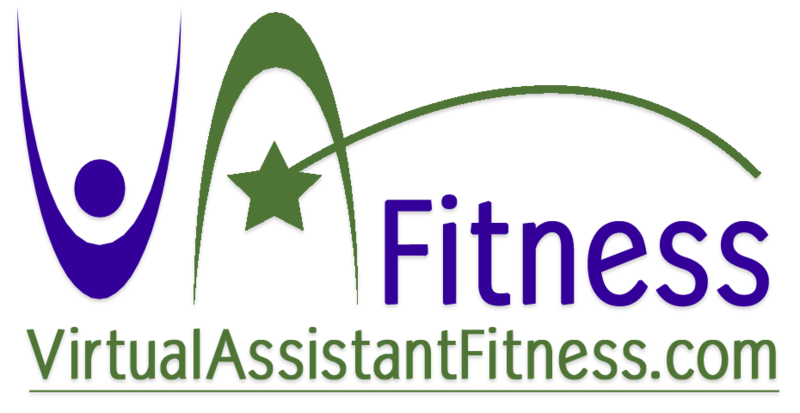 If you enjoy or are looking for a social element then joining a gym could be fun or joining a running club or a team sport. If you enjoy nature then walks, hikes or even trail running could be enjoyable. They say variety is the spice of life and when it comes to exercise, it’s also healthier and it keeps it interesting. For example, doing yoga three times a week and going for a jog twice a week keeps both your cardiovascular system in good shape and builds and tones muscle. Switching up your exercise routine makes it much easier to look forward to it because it reduces the ‘chore’ like feeling of exercise. #5 Consider setting a goal. Goals help us get and stay motivated. Whether it is a time, distance or duration time goal – a performance goal – or a weight loss or health related goal, setting your sights on something can help you make exercise a priority. This tends to work particularly well for entrepreneurs because they’re motivated and goal oriented people, generally. However, be forewarned about goals. Setting a large goal is great, if and only if, you also set smaller goals to achieve your larger goal. For example, if you decide you’re going to run a marathon, great. That’s a wonderful long-term goal. However, a shorter goal to set your sights on would be to run a mile, three miles, or a five-mile race depending on your current fitness level. This process of setting, and achieving, smaller goals set you up for long-term success. Working from home as a Virtual Assistant offers you tremendous freedoms and benefits. Add to your list of benefits the ability to workout and exercise every day so you can take care of your health and mental outlook today and for years to come. 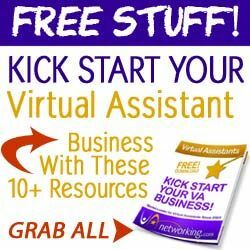 Are you a member of our Virtual Assistant Facebook Group? Click here to join.